Understanding the life cycle of HIV has made it possible to develop the drugs we use to treat the disease. It allows us to identify how the virus makes copies of itself, which in turn allow us to develop ways to block (or inhibit) that process. Interrupt any stage of the life cycle and the next cannot occur, making it impossible for the virus to multiply and spread. Once HIV enters the body (typically through sexual contact, blood exposure, or mother-to-child transmission), it seeks out a host cell in order to reproduce. The host in the case is the CD4 T-cell used to signal an immune defense. 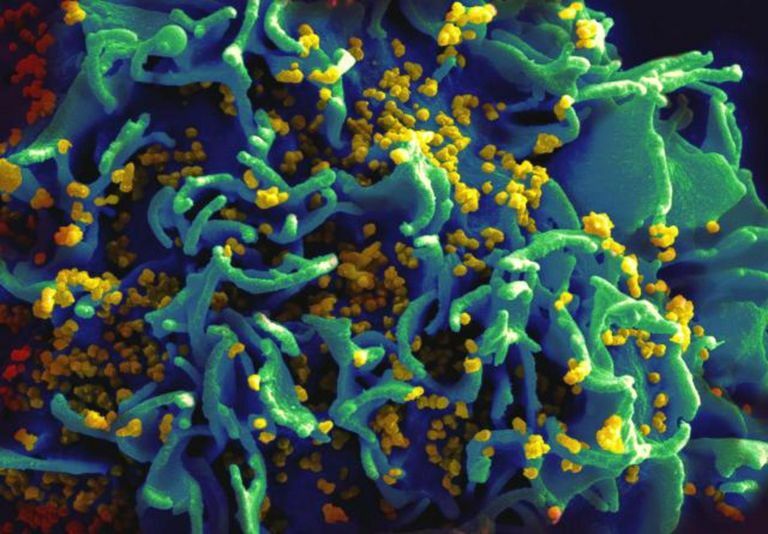 In order to infect the cell, HIV must attach itself by way of a lock-and-key type system. The keys are proteins on the surface of HIV which attach to a complimentary protein on the CD4 cell much in the way a key fits into a lock. This is what is known as vir﻿al attachment. Viral attachment can be blocked by an entry inhibitor-class drug called Selzentry (maraviroc). Once attached to the cell, HIV injects proteins of its own into the cellular fluids (cytoplasm) of the T-cell. This causes a fusion of the cell membrane to the outer envelope of the HIV virion. This is the stage know as viral fusion. Once fused, the virus is able to enter the cell. An injectable HIV drug called Fuzeon (enfuvirtide) is able to interfere with viral fusion. HIV uses its genetic material (RNA) to reproduce by hijacking the genetic machine of the host cell. In doing so, it can churn out multiple copies of itself. The process, called viral uncoating, requires that the protective coating surrounding the RNA must be dissolved. Without this step, the conversion of RNA to DNA (the building blocks for a new virus) cannot take place. Once in the cell, the single-stranded RNA of HIV must be converted to the double-stranded DNA. It accomplishes this with the help of the enzyme called reverse transcriptase. Reverse transcriptase uses building blocks from the T-cell to literally transcribe the genetic material in reverse: from RNA to DNA. Once converted DNA, the genetic machine has the coding needed to enable viral replication. Drugs called reverse transcriptase inhibitors can block this process entirely. Three types of drug, nucleoside reverse transcriptase inhibitors (NRTIs), nucleotide transcriptase inhibitors (NtRTIs) and non-nucleoside reverse transcriptase inhibitors (NNRTIs), contain faulty imitations of the proteins which insert themselves into the developing DNA. In doing so, the double-stranded DNA chain cannot be fully formed, and replication is blocked. Ziagen (abacavir), Sustiva (efavirenz), Viread (tenofovir), and Pifeltro (doravirine) are just some of the reverse transcriptase inhibitors commonly used to treat HIV. In order for HIV to hijack the host cell's genetic machinery, it must integrate the newly formed DNA into the nucleus of the cell. Drugs called integrase inhibitors are highly capable of blocking the integration stage by blocking the integrase enzyme used to transfer the genetic material. Isentress (raltegravir), Tivicay (dolutegravir), and Vitekta (elvitegravir) are three commonly prescribed integrase inhibitors. Once integration has occurred, HIV must manufacture protein building blocks that it uses to assemble new virus. It does so with the protease enzyme, which chops protein into smaller bits and then assembles the pieces into new, fully formed HIV virions. A class of drugs called protease inhibitors can effectively block the assembly process. Prezista (darunavir) and Reyataz (atazanavir) are two of the newer class protease inhibitors able to prevent viral assembly. One the virions are assembled, they go through the final stage in which the mature virions literally buds from the infected host cell. Once released into free circulation, these virions go on to infect other host cell and begin the replication cycle yet again. There are no drugs that can prevent the maturation and budding process. The average life span of virus-producing host cells is short, around two days. Each infected cell can produce an average of 250 new HIV virions by before it fails and dies. Arts, E. and Hazuda, D. HIV-1 Antiretroviral Drug Therapy. Cold Spring Harb Perspect Med. 2012 Apr; 2(4): a007161. DOI: 10.1101/cshperspect.a007161. Murray, J.; Kelleher, A.; and Cooper, D. Timing of the Components of the HIV Life Cycle in Productively Infected CD4+ T Cells in a Population of HIV-Infected Individuals. J Virol. 2011 Oct; 85(20):10798–805. DOI: 10.1128/JVI.05095-11.